As I reflect on 2018, I am in awe of what an exceptional year we had! There are too many people to thank here, but my appreciation goes to all our members who helped us have such a successful year. 2018 was another record-breaking year with rapid growth. 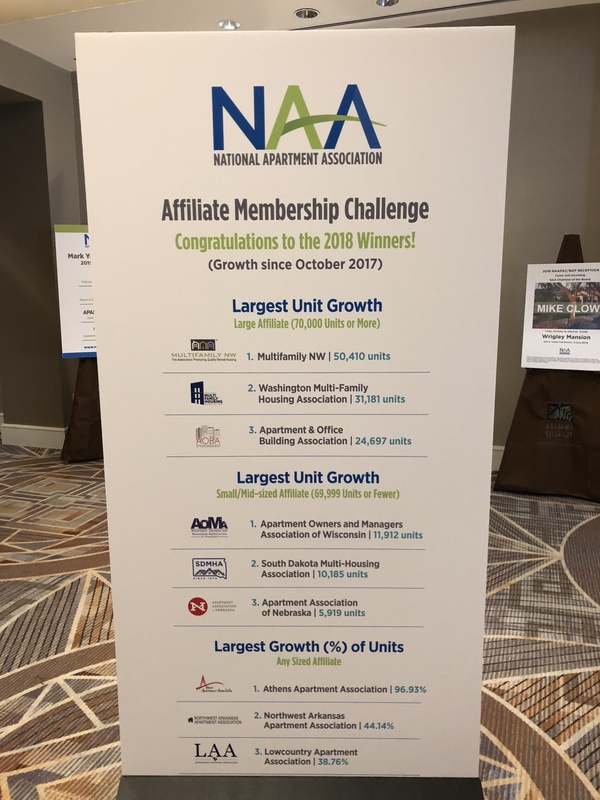 At National Apartment Association’s Assembly of Delegates conference in November, WMFHA accepted an award for 2nd place in the annual Membership Growth Challenge, with an increase of over 31,000 units! In units and management count, our membership growth was 25%! For supplier partners, we also finished strong at an 18% increase in membership. WMFHA is now one of the ten largest associations in the NAA network of affiliates across the country, in only our adolescent age of 15. With our rise comes elevated influence and reach, helping us to advance our mission and goals. Our association, our industry, is all about you, the people. Growth to me means more of you are a part of this wonderful association, building relationships with each other, and developing your careers. Attendance at our events and classes has flourished, and businesses are finding unique opportunities to achieve their goals. Members Using Members and MUM’s the word are phrases you surely heard often in 2018. Our robust Membership Directory and new website make it easier than ever to find a supplier partner that can service your community’s needs. We will continue to encourage everyone to utilize this tool to keep their business within the WMFHA family. Be sure to keep supporting mutual successes and fellow members in 2019 and together we will all maintain progress. We added a great industry resource to our website this year, the new Career Center! It’s a great place to post job opportunities and recruit job seekers to fill open positions. The WMFHA team and membership are more connected at the national level than ever before. 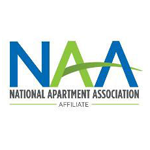 As the Washington state affiliate of NAA, our partnership has provided our members with many important benefits. 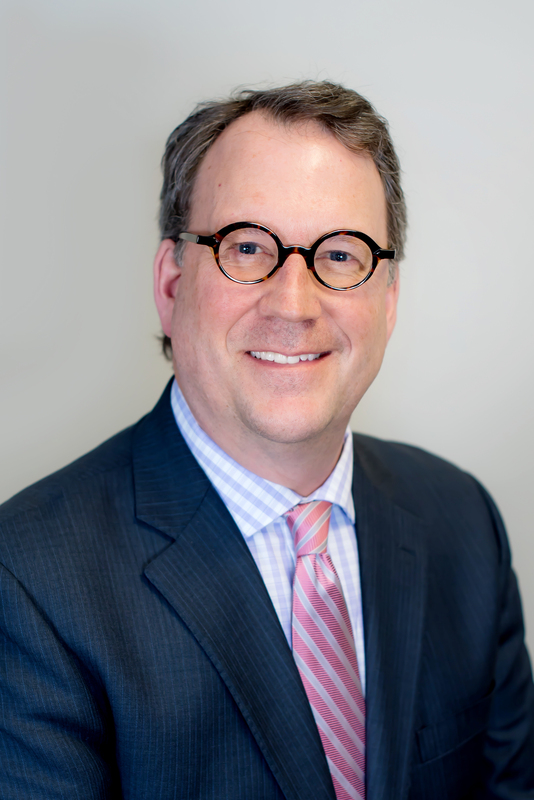 This year I am proud to represent WMFHA at the national level, serving as the 2019 President of the Association Executives Council (AEC), the leadership body that represents all NAA affiliates across the country. The AEC is made up of all the Executive Directors from each of NAA’s 160 affiliates across the country. I will also serve on the NAA Board of Directors this year. Our members in Eastern Washington continue to grow their presence at outstanding Tapas & Topics networking events, a fantastic Emerald Awards, great classes on landlord-tenant law and fair housing, and informative membership meetings. 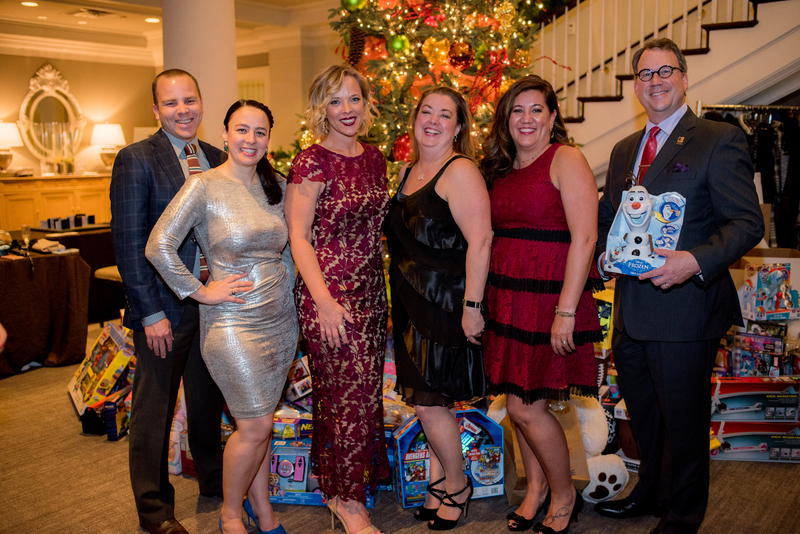 Last year I was amazed at the quality and passion from our phenomenal WMFHA team – Sloane Cerbana, Tricia Johnson, Katrina Bishop, and Brett Waller. Collectively, we are here to serve you and always want to hear how we can make your careers and businesses more productive and successful. One of the bright spots in 2018 was hiring our newest WMFHA team member, Kelly Wakefield. As Director of Marketing and Communications, Kelly has taken the reigns on overseeing our website, email marketing, and social media. We reach nearly 2,000 people on Facebook and are posting regularly on Twitter, LinkedIn, and Instagram. Our message is more impactful than ever before, and fun! Social media and improved marketing of our key messages broaden our reach, and at the same time brings us all closer together. Last year the WMFHA Board worked diligently to represent every one of you. Led by our Executive Officers, they provided tremendous support and guidance implementing our annual strategic initiatives. I would like to personally thank all our 2018 Board of Directors and Officers for their valuable support and encouragement. Housing affordability and the shortage of quality rental housing at all rent levels became a national focus in 2018. Throughout the year we emphasized the need for incentives for new multifamily housing development. We opposed regulations that would make it more difficult for our members and industry to meet the needs of a proliferating rental population in our state. It will remain imperative going forward that we educate policymakers about our industry so we can pass beneficial and equitable, not harmful, laws that impact our sector. Our Political Action Committee (PAC) raised money to support political candidates who understand the valuable contributions the rental housing industry provides for cities and communities across our state. Thank you to all our members who added a small annual donation to their dues payment last year to support the PAC! We also formed a Legal Defense Fund in 2018. With member donations, we were able to conduct legal research to ward off harmful and misguided policies. Our Government Affairs Committee with staff liaison Brett Waller and our state lobbyists worked tirelessly on grassroots advocacy. It will be even more important to promote sensible legislation that works for all in 2019. 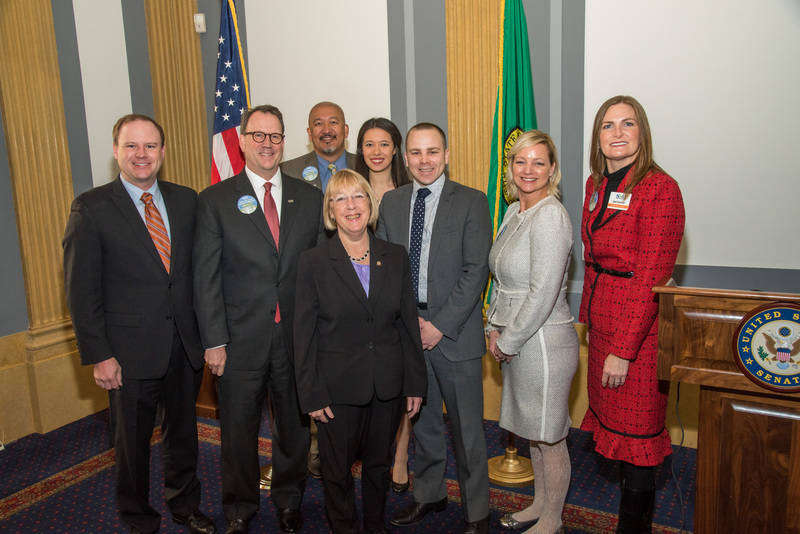 Our members joined other housing industry participants in our annual Day on the Hill in Olympia. We met directly with our state legislators and discussed policies that greatly impacted our businesses and services, such as rent control. In March 2018, some of our members traveled with us to Washington D.C. to meet members of Congress to build further relationships. In 2018, our Career Development programs saw a record number of professionals participating – 1260 in total! Our classrooms were packed. 98 members received their CAM, CAPS, CAMT, NALP and CAS credentials. Over $16,000 in scholarship funds were distributed to support their advancements. Fair Housing Friday seminars were the brilliant idea of Brett Waller and Sloane Cerbana. 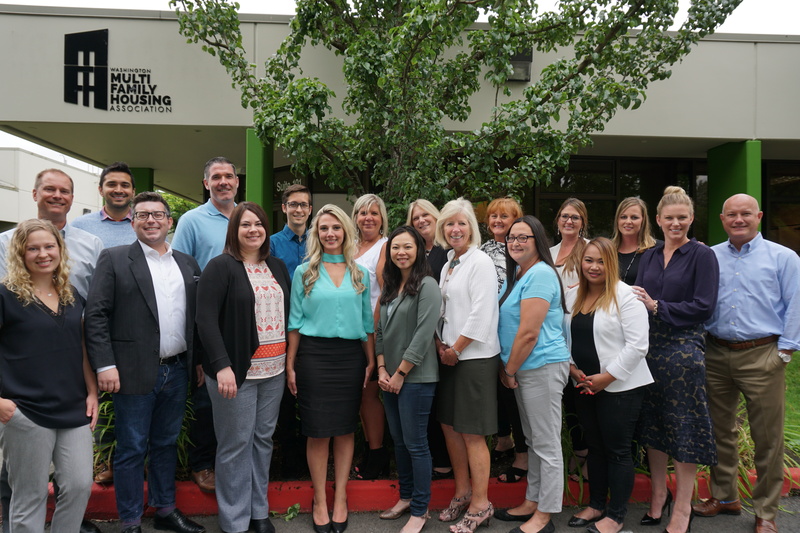 These monthly trainings that we launched in 2018 broadened our promotion of best practices in fair housing and legal compliance. Next year we will bring our educational offerings to even more members to educate and empower the front line of our industry. Thanks to the hard work of our Director of Events, Tricia Johnson, and many committee volunteer members, our many annual events were exceptional in 2018. Jockeys & Juleps, our first annual Maintenance Appreciation Event, Chili Cook-Off, Holiday Giving Gala, Business Exchange, and Washington Apartment Outlook all went off without a hitch. EdCon continued to grow and is now the industry’s best education conference and trade show. 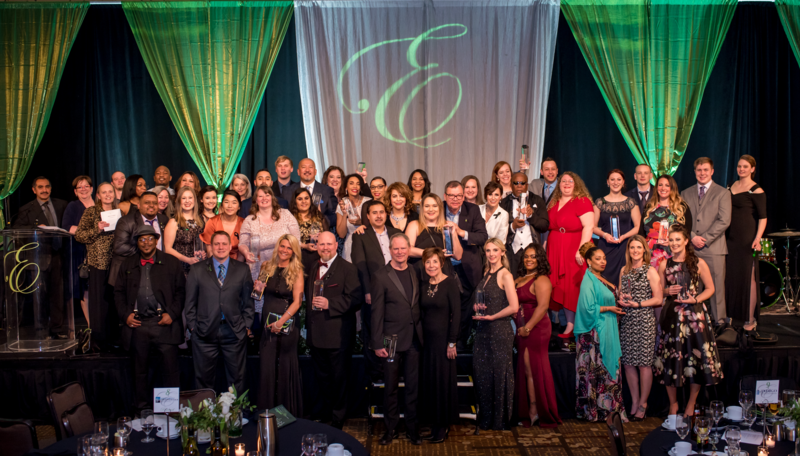 Emerald Awards in 2018 had a record number of nominations and a sold-out audience. 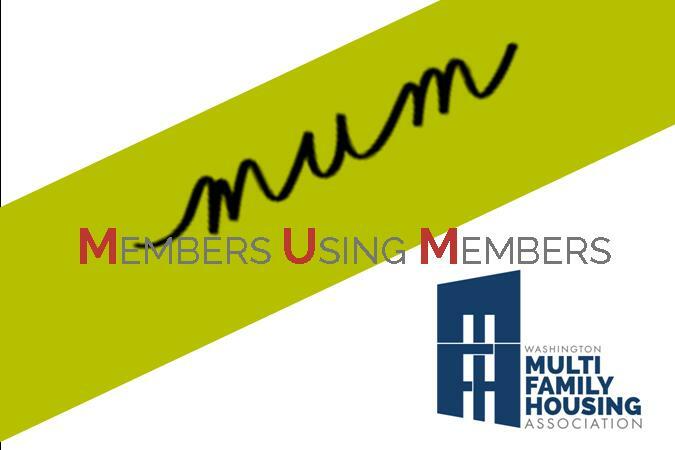 The power of relationships has propelled WMFHA to provide more outstanding networking opportunities for our members. Tapas & Topics, our monthly free networking event, continues to thrive and attract more attendees. It has become a great way to meet other members and build professional and personal relationships. Some of the most rewarding moments for me this past year were our community service and charitable activities. 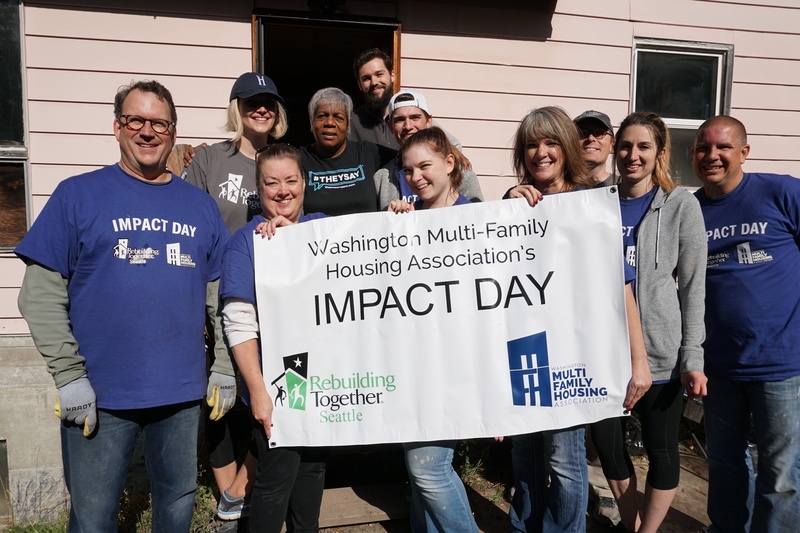 WMFHA members volunteered to help disadvantaged homeowners in our Rebuilding Together Volunteer Impact Days, in Seattle and Spokane. Last year we continued to partner with foodbanks Northwest Harvest and Move For Hunger, and once again set records for donations to Domestic Abuse Women’s Network and Childhaven. Over the years you all have collected tons of food and raised over $346,000 for our charitable partners. We collected toys for Toys for Tots, supported the Vanessa Behan Crisis Nursery in Spokane, and WMFHA members are giving to Mary’s Place to move homeless people into permanent housing. As excited as I am about closing out a very successful and fulfilling year, I am even more energized by the prospect of a new year, its challenges and accomplishments for Washington Multi-Family Housing Association and our fantastic members. Seeing our collective vision, our passion for the industry, commitment to our residents and to each other, and our desire to support and celebrate each other’s successes is the most rewarding part of my job as Executive Director of WMFHA. Residential Property Management is a service industry and a people industry, and our people are what makes us thrive and grow as an organization. WMFHA feels more like a family than a non-profit trade association. I am extremely proud to represent you all. I thank you all for being part of our immense success last year, and I look forward to an even better year ahead.